SCROLL DOWN TO SEE MONTHLY PHOTOS AND VOTE!! The contents of this page for Rattie Photo Contest should always be under construction. 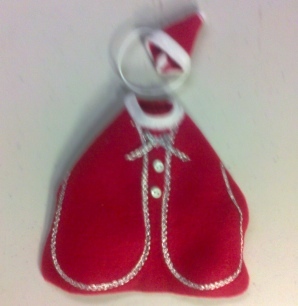 We are still adding prize items as they are designed and made up. We will also add the Monthly Winner's Photo each time a Contest ends. Please submit your photos for the next months contest now. Please notice that we are continually adding prizes. see more small animal items we design and manufacture in our non smoking home in NW SD USA. GET YOUR PHOTOS SUBMITTED FOR THE NEXT MONTHS CONTEST!! Please read all of our contest rules before entering your photo. Thanks!! Anyone from anywhere in the world may enter our photo contest. AS LONG AS THE READ THE RULES FIRST AND FOLLOW THEM. This is a "just for jun" photo contest with great first place prizes each month. It will be judged only by folks that visit this website to vote. Anyone and everyone may vote once a day. So, get the word out to all your rattie friends and to your families. Tell them to come vote once daily. A vote can only be submitted once in a 24 hour time period from any ip address. The contest runs from the first of each month til the last day of the month at midnight, computer time....that's 12:00 midnight where our computer sever is located. We have been know to switch servers, so vote early to be safe. Photos of ratties only. Please, no other pets or people in the photos. Just ratties. 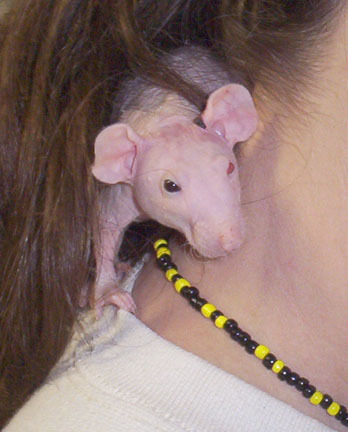 A close up of a rattie on someone is OK, just not of the person with the rattie. Photos with anything living (other then plants) will not be eligible for the contest. One photo per person per month. Everyone is welcome to participate in the contest each month of the year if they like. Please only use your photo once at The Agile Rat. You may send in a different shot of the same rattie, but not the same photo more then once. 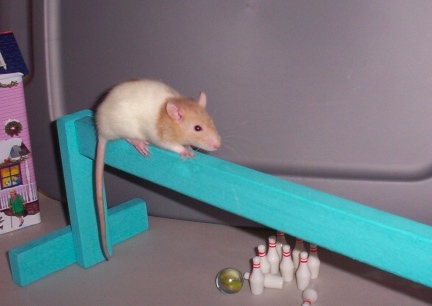 You must register to participate at The Agile Rat. By registering we will have your snail mail address to mail you your prize at the end of the photo contest. If we do not have your full name and snail mail address we will not be able to mail you your prizes if you win. We do not contact you for further information upon winning. We do not sell or give this list to anyone. We use this registration for sales and so that our members can upload their photos to the site. Later, when new products become available I may/will also email you to let you be one of the first to see what is new. Photos must be submitted to the site the month prior to the contest month. In other words, if you have a photo for February it must be to us by January 31 at 8 pm. Late photos will get posted for the following/next month. Sorry, once the month of the contest starts all photos received after the last day of that month will go into the following months contest. If it ever comes to a last word or a decision made on these contests. The Marna's Menagerie team will have that authority. For instance, if there were what appears in percentage as a tie (but actual votes are different amounts), if prizes needed to be changed for some unknown reason, if a person that won did so dishonestly and such. How Do I Enter A Photo? I can't submit this photo for you from my account, but I think it is pretty easy for you to do. First, just register at this site. See Menu. You will need to pick a username and a password, and enter your name and email address. Then you will get an email at that email address that has a link to verify your email address was entered correctly (stops anonymous posting of emails). Once you have done that, you can click on My Photo Album and upload the picture. When you upload the picture, a line of text will show beneath the photo that basically says "You have not entered a photo to the coming photo contest. Click here to enter this one!". Once you click that, you are "in". We are in the process of sewing the prizes for each of the contest months. Check the prize section often....you never know when we might add something new!! We also offer a wide variety of costumes and outfits for sale on our "shopping" pages. THANKS! CONGRATS TO OUR APRIL 2014 WINNER, MIL! New To This Webiste Site! I make and sell these Survival Bracelets on some of my other websites, I am now offering them here too. I have added a Rattie Charm and I think you would like it more if you could hold it in your hands and really see the whole thing. 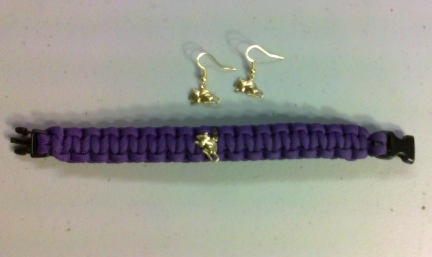 This one is a Purple Survival Bracelet with a Gold Toned Rattie Charm. I am also adding Matching Earrings! And yes. We do offer these for sale in our on line shop. THE PRIZES FOR THIS MONTH WILL BE LISTED SOON! PLEASE KEEP VOTING EACH AND EVERY DAY! Here's a Fancy Set of 4th of July outfits for some lucky, Photo Contest Winning, Ratties! The photo does not show it very well, but there is gold colored metallic threads on the Blue Lace around the bottom of the Little Rattie Dress. That Gold matches the Gold Metallic Thread that each of the little bitty bows are made of. 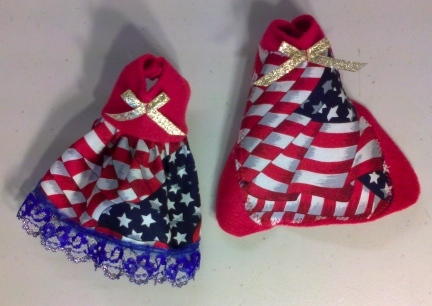 Your ratties will steal the attention at any 4th of July Celebration wearing these! Be sure to get photos. These American Guinea Pigs are showing off some of their tricks that are Red White and Blue Themed. Captain, Matey and Damsel are American, the breed of American, Cavies or Guinea Pigs. Come see them Raise the USA Flag, Play Dominoes, Basket Ball, Tic Tac Toe, Spin Pin Wheels, and so much more. At the end see Damsel Put Her Doll To Bed and Matey Get Into His USA Basket. Please share our videos with your "peeps" and "like" it. Fall is coming quickly! 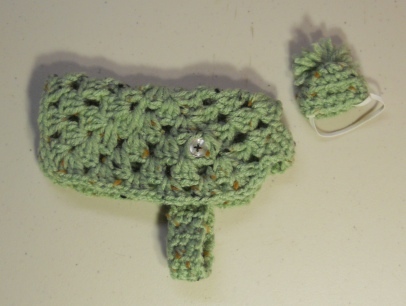 Here is a cute little hand crafted Sweater for your Rattie with a Matching Hat. These Sweaters and Matching Hats are a very popular seller in our On Line Store. The Sweater is very adjustable and it will fit most ratties. It has a button at the waist. The Matching Hat stays on the Rattie's Head with adjustable elastic. 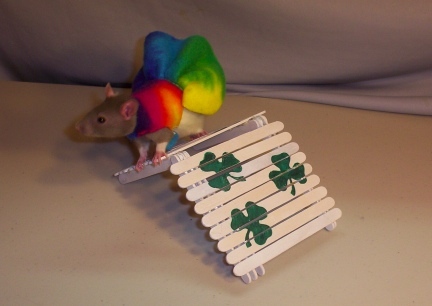 I have a few of these in different colors for my own ratties. These are fun items and a good one to take your rattie's photo in. SOMETHING NEW AT THE AGILE RAT! I make and sell these Survival Bracelets on some of my other sites and decided to add CHARMS! 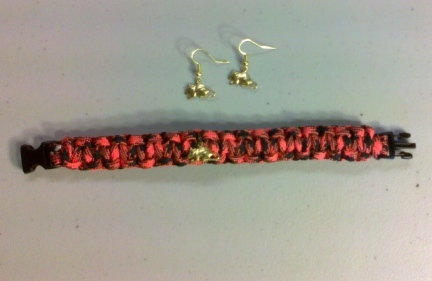 I think the little Rattie Charm is awful cute on this Orange and Black Survival Bracelet. This Bracelet also comes with Matching Earrings! We have been making Christmas Outfits and Santa Suits for Ratties for several years. We make them Fancy and Basic and much like THIS one, DELUXE! That's right, a DELUXE SANTA SUIT WITH MATCHING HAT FOR RATTIE!.This cute little Red Fleece Santa Suit has Silver (colored) Trim and Itty Bitty Buttons sewn onto it. It comes with the Traditional Santa Hat that has elastic that is adjustable to fit the ratties head. Ratties are Adorable Wearing these little Santa Suits! Our Rattie Sweaters are one of our Most Popular Items Sold! 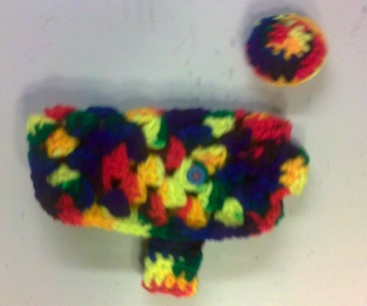 If you go to our Shopping Page and look at our Rat Sweaters there, I have the Story of how the Rattie Granny Square Sweater came to be....as well as photos of our Rats and Dogs wearing the Granny Square Sweaters I made for them. I love these colors in this Rattie Granny Square Sweater with Matching Hat! I have the same color sweaters for both my Ratties and my Guinea Pigs! The colors are so Bright and Warm! This Sweater will fit most Ratties. Our Sweaters are our most adjustable outfit we make for Ratties. It closes with a band under the belly of the Rat with a Button that will set anywhere within the Sweater on the side. The Matching Hat stays on the Rattie's Head with elastic. 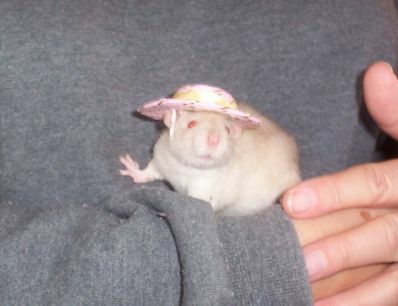 If you have a darker Rat, you can use a permanent marker to color the white elastic, just make sure the ink is dry before putting the hat onto the Rat's head. Do NOT, NEVER, leave an outfit on an animal without supervision. Many people want these sweaters for Hairless Rats, to leave it on them all winter. The rat will take it off and chew it. The rat also might get tangled in the yarn if the rat was left unattended wearing the Sweater. 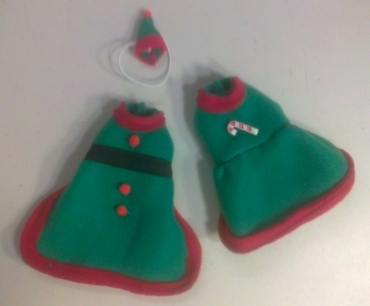 Here's a cute pair of Christmas Elf Clothes! Traditional Christmas Elf Colors Green with Red Trim....The Coat has Red Pom Poms, itty bitty ones, with a Santa Inspired Hat that stays on the Rattie's Head with elastic. The Little Dress, again, Green with Red Trim, also has a Candy Cane Button. THERE WILL BE MORE PRIZES COMING. WE ADD PRIZES TO THIS PAGE OFTEN, MANY TIMES LATE IN THE MONTH THAT IS CURRENTLY RUNNING. ADDING PRIZES IS A WORK IN PROGRESS!! We hope you like our monthly prizes. Most months there will be at least two prizes for each first place winner. All items were designed and made by me....I make all these same type items first for my own ratties. Prizes may be added to, but will not be subtracted from, any month at any time. 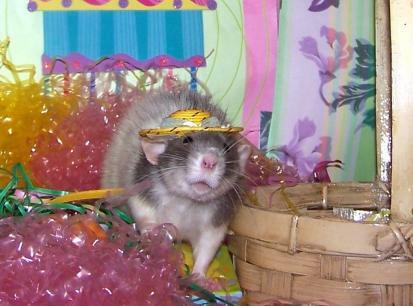 Check back often to see what is being offered each month for our Fancy Pet Rat Photo Contest. Prizes are described and photo is shown above for each month. What you see is what you get Sorry, No substitutes, No color change, No different sizes. Rattie Clothes, Costumes and Outfits do come in sizes. The prizes are made up to fit the average sized rattie. All outfits are made for the contest (you will find some of the same outfits for sale on our Rat Items For Sale page) they are new and have never been worn or tried on by any other pet rat. Prizes will be shipped about a week after the contest closes. We are not rural...we are way further out then that. Sometimes, not too often, the weather does not allow us to get out across the 6.4 miles of dirt Road between us and the Roadway. Should that happen, your prize *will* go out as soon as possible after the contest closes. All prizes are new and never used. They are handmade in our non-smoking home. No ratties have ever worn, slept on or been around your item. If you see a prize you would like to own, but did not win one, check our Rat Items For Sale page. Most, if not all of the items we award for prizes are also for sale in our on line shop. If you see something you would like to have among our prizes but do not see it on our sales page, please send an email and ask We do ship our products all over the world. IT IS NOW TIME TO ENTER FOR THE JUNE 2014 CONTEST. PICK A GREAT PHOTO SHOT OF YOUR RATTIE AND ENTER IT NOW! New Photos will be up on the first day of the month, God willing, for continued voting. Don't Forget!! Voting is daily. One vote per 24 hours. IF YOU ARE ASKING, "WHAT ARE WE WINNING?" "WHERE ARE ALL THE PRIZES?" THE ANSWER IS ~ THEY ARE COMING. IT IS AN EVER GOING WORK IN PROGRESS TO UPLOAD PRIZES EACH AND EVERY MONTH. PLEASE KEEP ENTERING,VOTING AND VISITING THE SITE TO SEE WHAT PRIZES MY BE UP FOR WINING. REMEMBER IT IS FREE TO ENTER! THANKS FOR PARTICIPATING! THANK YOU FOR YOUR CONTINUED SUPPORT WITH THE PURCHASES YOU MAKE FROM US. THAT VERY SUPPORT IS WHAT KEEPS THIS MONTHLY CONTEST OFFERED FOR ALL RAT LOVERS ON LINE!